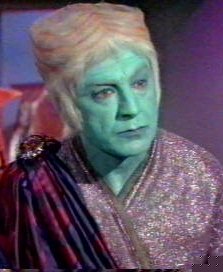 Troyius, one of the planets of the Tellun system, is the homeland of an humanoid culture that, very probably, descends from an ANDORIAN shipment colonial lost in the space. 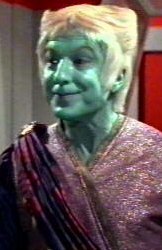 Both the planets, ELAS and Troyius, are fond of deposits of dilitium, that makes them important from the economic and political point of view for the Federation, but also for the Klingon Empire. The Troyians are huanoids with the skin of blue-blue color that shows strong aggressive tendencies when they feel threatened, though they belong to a very advanced and pacific civilization. Using of the primitive knowledges of interplanetary flight, Troyius has dragged Elas in a war for the dominion of the stellar local system. The Federation has sent of the negotiators in order to set end to the conflict, that had been able to combine a wedding between the daughter of the ruling family of Elas, Elaan, with the governor of Troyius. Despite the attempts of the Klingon, the situation is returned to the normalcy and to the peace.